Wood Young 504 records found 26 - 35 jump to record: Search took 0.00 seconds. Rodeo at Scally Ranch in 1922? L-R Alice Connelly Roberts, ?, Martha Petrosky, Virginia Johnston Anderson..
Mt. 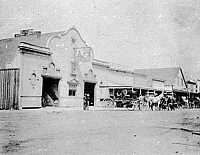 St. Helena, California - Toll Road and Inn operated by Molly Patten, Spiers Livery Stable..
Mt. St. Helena, California - Toll Road and Inn operated by Molly Patten,Auto and four men at the Inn..
Mt. 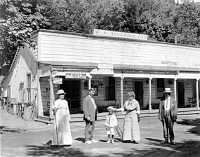 St. Helena, California - Toll Road and Inn operated by Molly Patten, five visitors to the Inn..